What is a micro energy service company (MESCO)? A micro energy service company (MESCO) is a small or medium-sized company (SME) or a temporary joint venture (UTE) specialised in maintaining public lighting and municipal buildings and in supplying renewable energy, etc., that offers all the services required to implement a comprehensive energy efficiency project in municipal facilities, from the planning phase through to the measurement and verification of savings stage. Develop improvements to boost energy efficiency in municipal buildings and facilities. 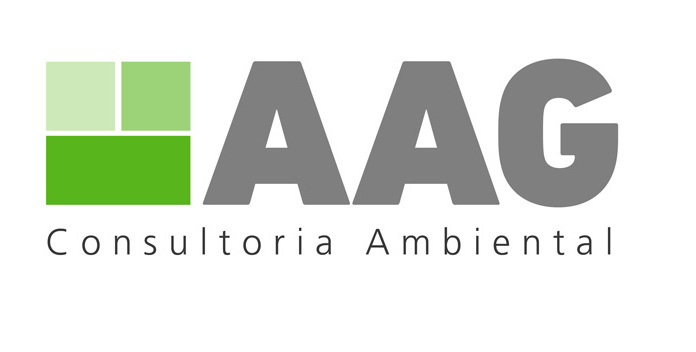 Guarantee that proposed energy savings are obtained. Possibility of financing the operation and recovering investment through energy and financial savings achieved. They have the capacity to formalise long-term contracts. 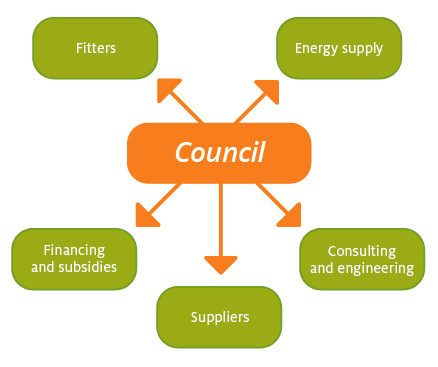 Seek alliances with other professional figures to be able to offer a comprehensive energy management service. 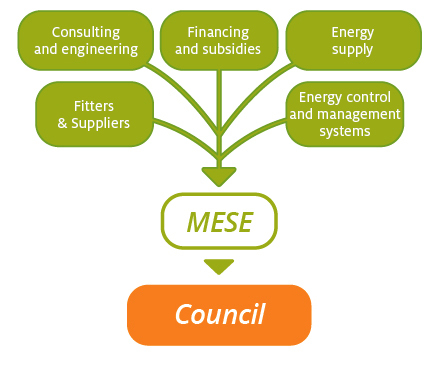 The Beenergi programme offers training activities to help SME become MESCO. 40-hour courses to inform participants about new schemes for mobilising investments in energy efficiency in public lighting and buildings. During the courses participants will create business plans and analyse the various financing options. Mentoring SME throughout the Beenergi project. Specific seminars on seeking finance from financial entities and alternative financing platforms. Seminars and cooperation forums for building alliances between SME. SEITEC | Servei Instal·lacions Tècniques Empordà, S.L.